I am a broadly trained ecologist interested in the functions, dynamics, and adaptive capacity of forest ecosystems and landscapes - including humans and our economic, political, and cultural institutions - in a rapidly changing world. Worked in environmental restoration as a manager and supervisor for the Onondaga Lake Restoration Project. New Jersey native, avid hiker, explorer, traveler, and semi-professional photographer and videographer. Our group conducts research on the ecological and social functions, drivers and dynamics of change, and overall resilience of forest landscapes during the Anthropocene – the current age in which humans have fundamentally shaped all of the Earth’s basic life support systems. We blend basic and applied research and draw from multiple disciplines and knowledge systems, with recognition that humans are integral parts of the Earth system, capable of inducing rapid and irreversible changes (within human time scales) as well as careful stewardship that fosters adaptive capacity. My philosophy is to mentor students to develop innovative, rigorous and collaborative research, and to encourage students to follow their strongest interests and abilities. Please send me an email for more information or to set up some time to chat. Endres A, Mountrakis G, Jin H, Zhuang W, Manakos I, Wiley JJ*, Beier CM. 2016. Relative importance analysis of Landsat, waveform LIDAR and PALSAR inputs for deciduous biomass estimation. European Journal of Remote Sensing 49: 795-807. Zhuang W, Mountrakis G, Wiley JJ*, Beier CM. 2015. Estimation of aboveground forest biomass using metrics based on Gaussian decomposition of waveform LiDAR data. International Journal of Remote Sensing 36(7): 1871-1889. Sullivan T, Lawrence G, Bailey S, McDonnell T, Beier CM, Weathers K, McPherson G, Bishop DA*. 2013. Effects of acidic deposition and soil acidification on sugar maple trees in the Adirondack Mountains, New York. Environmental Science & Technology 47(22): 12687-12694. Li M, Im J, Beier CM. 2013. Machine learning approaches for forest classification and change analysis using multi-temporal Landsat TM images over Huntington Wildlife Forest. GIScience & Remote Sensing 50(4): 361-384. Beier CM, Woods AM, Hotopp K, Mitchell MJ, Gibbs JP, Dovciak M, Leopold DJ, Lawrence GB, Page B. 2012. Changes in faunal and vegetation communities along a soil calcium gradient in northern hardwood forests. Canadian Journal of Forest Research 42: 1141-1152. Beier CM, Stella JA, Dovciak M, McNulty SA. 2012. Local climatic drivers of changes in phenology at a boreal-temperate ecotone in eastern North America. Climatic Change 115: 399-417. Beier CM. 2012. Cultural landscapes and scientific narratives. Ecology 93(8): 1983-4. Beier CM, Signell SA, Luttman A, DeGaetano A. 2011. High-resolution climate change mapping using gridded historical climate products. Landscape Ecology 27(3): 327-342. Stager JC, McNulty SA, Beier CM, Chiaranzelli J. 2009. Historical patterns and effects of changes in Adirondack climates since the early 20th century. Adirondack Journal of Environmental Studies 15(2): 22-38. Horton JL, Clinton BD, Walker JF, Beier CM, Nilsen ET. 2009. Variation in soil and forest floor characteristics along gradients of ericaceous shrub cover in the southern Appalachians. Castanea 74(4): 340-352. Beier CM, Sink SE, Hennon PE, D’Amore DV, Juday GP. 2008. Twentieth-century warming and the dendroclimatology of declining yellow-cedar forests in southeastern Alaska. Canadian Journal of Forest Research 38(6): 1319-1334. Beier CM. 2008. Influence of political opposition and compromise on conservation outcomes in the Tongass National Forest, Alaska. Conservation Biology 22(6): 1485-1496. Hennon P, D’Amore D, Wittwer D, Johnson A, Schaberg P, Hawley G, Beier CM, Sink S, Juday G. 2007. Climate warming, reduced snow, and freezing injury could explain the demise of yellow-cedar in Southeast Alaska. World Resource Review 18(2): 427-450. Beier CM, Horton JL, Walker JF, Clinton BD, Nilsen ET. 2005. Carbon limitation leads to suppression of first year oak seedlings beneath evergreen understory shrubs in Southern Appalachian hardwood forests. Plant Ecology 176(2): 131-142. Chapin FS, Peterson G, Berkes F, Callaghan TV, Anglestam P, Apps M, Beier CM, Bergeron Y, Crepin AS, Danell K, Elmqvist T, Folke C, Forbes B, Fresco N, Juday G, Niemela J, Shvidenko A, Whiteman G. 2004. Resilience and vulnerability of northern regions to social and environmental change. Ambio 33: 344-349. Walker JF, Miller OK, Horton JL, Beier CM, Clinton BD, Nilsen ET. 2002. Distribution of ectomycorrhizal fungi on tree seedlings grown in gradients of ericaceous shrubs in the southern Appalachian Mountains. Inoculum 53(3): 58. New York Climate Change Science Clearinghouse - Maps & GIS Viewer developed by ESF, Frontier Spatial LLC and partners for the official NY State website for understanding the impacts of climate change and promoting climate adaptation and resilience across the entirety of New York State. Great South Woods Interactive Map - developed in partnership with adirondackatlas.org, the map provides access to the 50+ recommendations developed by a participatory, community-based and large-scale recreation planning project in the southern Adirondack Park. Learn more about the GSW effort here. Forest Ecosystem Services Toolkit (FEST) - A collaborative, data-driven effort to measure the many benefits that forest ecosystems provide to people, while accounting for and identifying the impacts of multiple drivers of change on the capacity of ecosystems to support human well-being. FEST is continuously in development with new case studies, R scripts and visualizations being added. Adirondack Regional Geographic Information System (ARGIS) - our first proof-of-concept web map for the Adirondacks that continues to have a small but dedicated user group. Beier CM. 2018-2022. Adirondack Long-Term Monitoring (ALTM) Program - Streams Component. NYSERDA ($85,000 - current). Beier CM, McHale P, Johnston M. 2018-2022. Long-Term Environmental Monitoring of an Adirondack Ecosystem under Multiple Drivers of Climatic, Atmospheric, and Biotic Change. NYSERDA ($612,900 – current). Powell WA, Horton T, Parry D, Drake J, Beier CM, Holliday J, Fitzsimmons S. 2018-2021. Environmental Impacts of GE and Conventionally Produced American Chestnut. USDA-NIFA ($500,000 - current). Kimmerer R, Leighton A, Diemont SAW, Beier CM, Hurley E, Folta E, Manno J, Sachatello-Sawyer B, Patterson N. 2016-2019. Sowing Synergy: A Graduate Program to Integrate Indigenous and Scientific Knowledge for Sustainability. USDA NIFA – Higher Education Challenge Program ($642,811 – current). Vidon PG, Gold A., Lowrance R, Addy K, Beier CM. 2015-2018. A new landscape based approach to optimize riparian zone nitrogen and phosphorus management in glaciated settings. USDA-AFRI ($475,000 – completed). Beier CM, Houseal BL, Parker AM, Hirsch P. 2014-2015. Great South Woods Complex Planning. NYS Department of Environmental Conservation ($250,000 – completed). Beier CM. 2013-2016. Social and Economic Impacts of the Acidification and Potential Recovery of Adirondack Ecosystems. NY State Energy Research and Development Authority ($165,113 - completed). Lawrence G, Josephson D, Beier CM, Kraft C, Baldigo B. 2013-2016. Whole Ecosystem Restoration Through Liming of Honnedaga Lake Tributary Watersheds. NY State Energy Research and Development Authority ($350,000 - current). Rector L, DeGaetano AT, Beier CM, Mecray E, Ochs M, Manion M. 2013-2016. Establishment of a New York Climate Change Science Clearinghouse. NY State Energy Research and Development Authority ($750,000 - completed). Vidon PG, Wang J, Bokuniewicz H, Walter T, Boyer G, Endreny T, Quackenbush L, Beier CM, Ferguson C. 2014-2015. The integrated water-system of the Great Lakes region: its condition and challenges for the future. SUNY 4E Network of Excellence ($149,978 – completed). Beier CM, McNulty SA. Application of GIS to Resource Inventory for Unit Management Planning. 2013-2014. NYS Department of Environmental Conservation ($185,514 – completed). Beier CM, Bishop DA*. 2013-2014. Integrating Effects of Climate Change, Acidic Deposition and Insect Defoliation on Sugar Maple (Acer saccharum) Growth and Yield in the Northern Forest. USDA Forest Service – Northeastern States Research Cooperative ($10,000 - completed). Beier CM, Larkin AM*. 2013-2014. 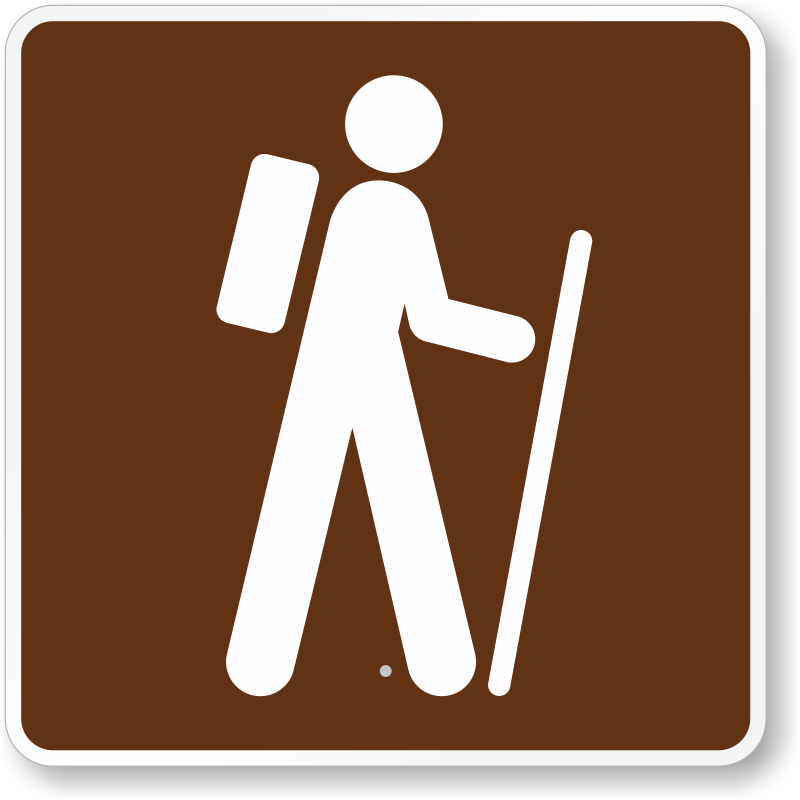 Developing an Adirondack Trail Register Database to Support Recreation Management and Community Planning. USDA Northeastern States Research Cooperative ($10,000 - completed). Kimmerer R, Beier CM, Cook M, Van Lopik W, Mitchell B. 2012-2015. Learning from the Land: A Cross-Cultural Partnership in Forest Stewardship Education for Climate Change Adaptation in the Northern Forest Region. USDA NIFA – Higher Education Challenge Program ($736,312 – current). Vidon, P, Mitchell MJ, Beier CM. 2012-2014. Determination of Climatic and Geomorphological Drivers of Greenhouse Gas Emissions in Forested Landscapes of the US Northeast. USDA McIntire-Stennis ($77,807 - current). Beier CM, Groffman P, Volk TA, Limburg KL. 2011-2014. Impacts of Forest Management on Regulating Services in Northern Forest Watersheds – Development of the Forest Ecosystem Services Toolkit. USDA Forest Service - Northeastern States Research Cooperative ($117,115 – completed).